We welcome a *FULL MOON* Lunar Eclipse in Leo as yet another cyclical evolutionary turn on our personal and collective journey. Occurring on the Leo/Aquarius axis, we are being called to reawaken to our original blessings and link our hearts with the heart of the Earth and all of humanity whose essence is Love. As we work on healing our wounds of disconnection and nurture the feminine principle in all creation, we re-create our world anew. “This month’s Full Moon is a Supermoon and Total Lunar Eclipse in tropical Leo. As you may also have heard, it’s a ‘Blue Moon,’ the second of two Full Moons in one calendar month. “Astrologically, a Blue Moon is insignificant (and in some parts of New Zealand this Full Moon occurs on Feb. 1), but a Supermoon/Lunar Eclipse is interesting enough on its own. “During a Lunar Eclipse, the Earth’s shadow crosses the lunar surface… this projection of the Earth gives the Moon a reddish-brown color (it definitely won’t be blue); this is why lunar eclipses are also called Blood Moons. “Much like this Supermoon/Eclipse itself, be mindful of overhyped exaggerations. “With Venus in opposition to the Moon, look beyond appearances. The tendency to be fooled by glamorous facades can be one theme and pitfall of this Lunar Eclipse. “Watch out for over the top displays of egotism. Undeserved pride can lead to humiliating downfalls. 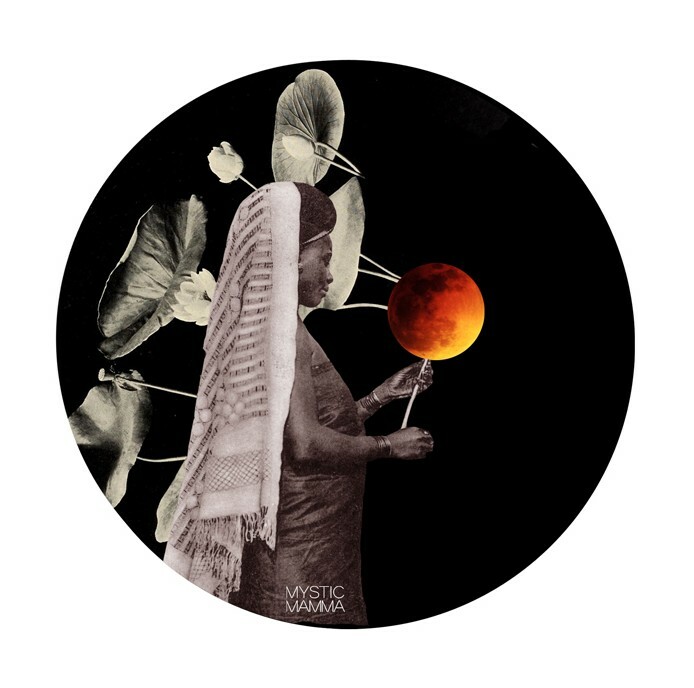 “If you’re mindful of those negatives, this Supermoon/lunar eclipse is an exciting culmination of creative and playful energy, touched by two benefic planets. “Both eclipse seasons invite us to discover our own unique heart skills which we can contribute to our collective culture. “Love is supposed to lead the way for all of us. “Women are especially called to add our voices and imaginations to help heal our cultural wounds, while men are called to defend what is true, beautiful and good in the world. “Our world is so out of balance that it has to descend into chaos to get remade. “The Moon and Ceres join with the North Node in Leo, which is a collective directive to each of us to express our unique creativity. “The Moon and Ceres, the Roman fertility and mother goddess, are both energies that help us access our unconscious (Moon) feelings of being un-loved (Ceres). “We all deserve to be loved just for ourselves and so many of us weren’t loved in that way. “Who would we have become if we were allowed to follow our soul’s longings in life? “…Who would we be if we all felt, down in our bones, that we are worthy of love? Not because we have money or are smart or good at our jobs, but just because we are alive? “Here we have the South Node aligned with the Sun and Venus – an opportunity to let go of all those times we felt we weren’t loved the way we thought we should have been loved. “In Aquarius, we can look with some real detachment at the events of our lives, acknowledge the experience, let that old loved/unloved story go..
“Aquarius Sun/Venus can help us move in to the modern moment of now, push the boundary, and live in an entirely new headspace where we ARE love. “Demetra George says tense Pluto/Ceres aspects can unearth intense emotional crises- particularly regarding loss and separation (from mother, from children, from Mother Earth, from the essential self). “The North Node in Leo is asking us to get radical in our self-care, self-Love and self-nourishment! “Neptune harmoniously links with the Sun on the karmic South Node- which can make it very easy to spiritually bypass during this eclipse. “Spiritual bypassing is when we use spirituality to escape our pain, when we prematurely forgive before we have fully moved through the pain/anger/grief/rage that is there, and when we default to transcendence, choosing to go up and out before we have truly descended and gone all the way down and in and through. “This world we live in is wide open. Anywhere we want to go, the invitation is there. “Yet if we are going to take the path of open destiny where it leads, first we will need to liberate ourselves from all the versions of this which turn out to be mirages, illusions. “We so easily draw to ourselves that which looks and insists that it is the open adventure, the free space, the clear possibility. “Yet soon enough we find that we are enveloped in something so familiar and so stuck. In fact, we are repeating ourselves endlessly, in yet another variation. “Quite compulsively, we persist in this pattern until we cannot bear another cycle of self-avoidance. “Then the actual open portal of the New Earth is right here before us. “Unlike the substitutes, this one gives no ego-mileage, never will it make us a special person. “Instead, it floods us into journeying with everybody in a bigger story than the one we’ve told before. That unusual dimension allows us to breathe free of our own extraordinary nature. “For it turns out that the good we can do starts when we give it all through us without a trace of self-conscious absorption in our own magnitude. “But it takes so many heartbreaks, such deep letting go to find the place beyond the separative self version of existence. “The only way we’ll hang in there through all the twists and tuns is if we just know that we are worth it and that this world is worth it. “The place of all-worlds-converging, all-times-now, all-windows-open calls to us here with a force, a power, a great passion. Thank you for the reminder to move beyond the ego of me. and to focus on unity with the awesomeness of all. Love is all. All is well. My deepest thanks- this so very much in tune with my soul’s journey right now! I feel very much supported, and thankful. I am asking the universe to please allow me to move forward with new man that I am so interested in getting to know better, and to allow me to break free from the man I know too well. Love reading and feeling the excitement that you share! Deep Divine Love and Light! Beautiful and powerful words. Thank you once again for sharing. First of all, Thank you. Reading these words is what I have been going through. In fact, I just wrote a book calling “Filling My Void with Light” by : Spirit Woman : which is published now. It is my personal journey of healing to help others heal through the severe abuse that I have undergone: in order to your point: “to the portal of the new Earth” that is waiting for all of us. I have been releasing a lot this past week and it is aligned with many of the words in this article. Thank you. Blessings. Wow, that last quote by Lonsdale, “we must find the real thing and make it our servant”, is SO incredibly powerful for me. That will be my mantra for the next month, thank you MM. Thanks so much for this. Been feeling this all so much, and reading the words sure helps. …that we are worthy of love? super uplifting and beautiful! thank u so much for sharing your gifts with us. MUCH LOVE! Feels like so much of the hyper american individuality is melting away and we are really uniting. So beautiful. I am a Man but I have noticed that during phases of the Moon such as in January I feel extremely feminine. All through January in fact I felt very feminine and not at all masculine. Is there a reason why the Moon phases make me feel so feminine? Re:bi passing found these notes.